Samsung will be the first TV manufacturer to offer 8K models in NZ. The full 8K and 4K range was unveiled today at the company’s Southeast Asia and Oceania Forum in Singapore. Pricing won’t be as fierce as tech vets might have expected, given what the first consumer plasma and OLED TV initially sold for, but will still be considerably heftier than comparable 4K displays. The smallest 8K model, the 65-inch QA65Q900RBSXNZ, will sell for $11,000, the 75-inch QA75Q900RBSXNZ for $16,000 and the 82-inch QA82Q900RBSXNZ for $20,000. 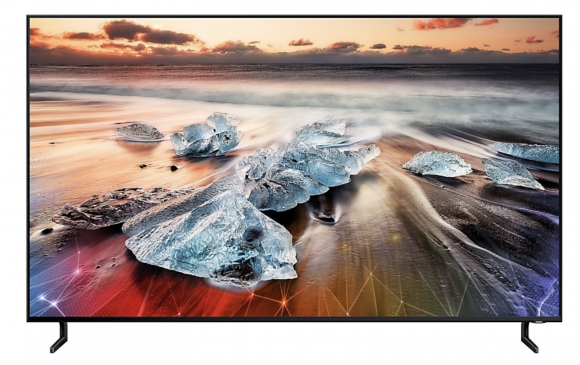 The 65-inch display is comparable to the Australian price (A$10,000) but the larger models are priced significantly higher (A$13,000 for the 75-incher and A$17,499 for the 82-incher). The Aussie deals also will be sweetened by bundling the TVs with a Samsung Galaxy S10+ phone. The TVs will be released here next month, following a NZ media launch of the range on April 8. LG and Sony also are planning to market 8K TVs this year but expect their release in the second half of 2019. Just as well, then, that the 82Q900RB’s upscaling does a good enough job in conjunction with other groundbreaking elements of its pictures to make even 4K sources look better in most ways than I’ve seen them look on any 4K TV to date. What Hi-Fi, meanwhile, hailed Samsung’s 4K flagship as “an exceptional telly … A QLED that does things only an OLED previously could”. 4K redux? I’d wait until the 2nd/3rd generations.